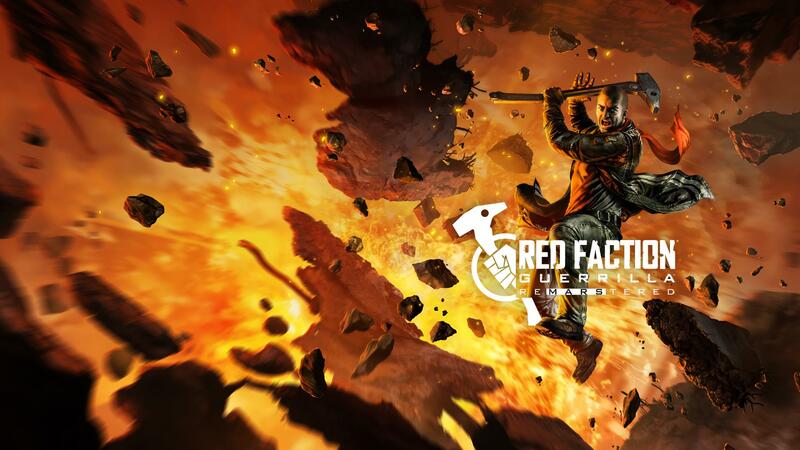 17 years ago, a game called Red Faction launched. After cracking open the bright red case and popping the game into the family PlayStation 2 console, my brother showed me that you could rocket launch a wall to blast a gaping hole through it, carving out a doorway for yourself. I was amazed. I'd never seen such freedom in a video game. My eyes widened with the possibilities. I gleefully spent hours with Red Faction, destroying all there was to destroy. The better part of two decades later, I still felt like that little kid on my playthrough of Red Faction Guerrilla Re-Mars-tered, the terribly named remaster of Red Faction: Guerrilla. The game is getting dated, sure — having launched in 2009 — and this remaster isn't perfect by any means, but the core gameplay is just too much fun for me to care. All the Red Faction games are technically about revolutionaries overthrowing corrupt ruling groups on Mars, but a lot of people will probably tell you the games are about blowing stuff up. One of the best parts of Guerrilla was that not only were the environments destructible, but the intelligent destruction mechanics worked the way you logically thought they should. Cut off the right two legs of a guard tower, and it will topple in the same direction. Shoot out the suspensions of a bridge, and bye-bye. Five C4 can do the job of 20, provided the charges are in the pivotal spots that piece a large building together. 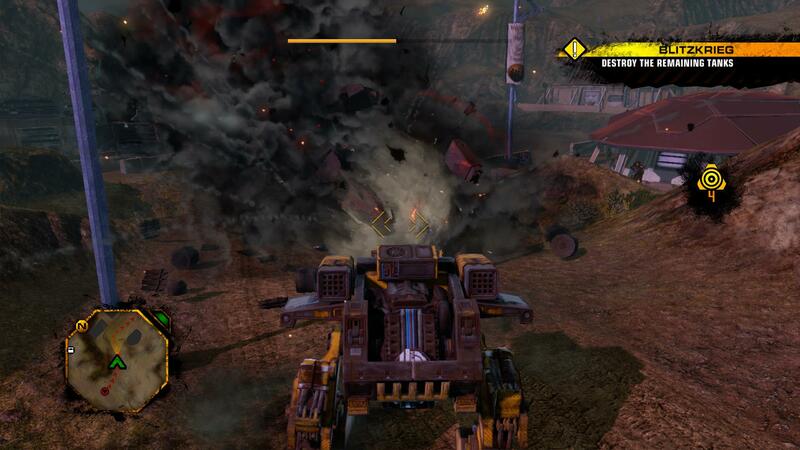 Of course, when homemade tools of destruction aren't enough, there are always towering mechs and tanks to fall back on. 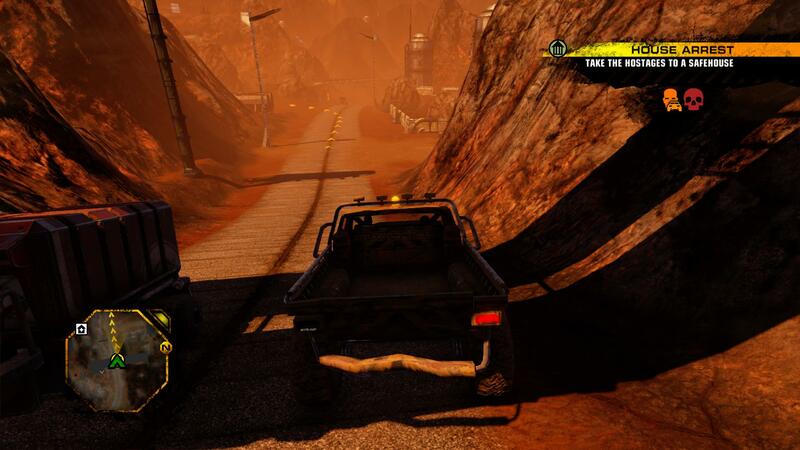 The gameplay is action-packed. It's explosive. It's satisfying. Most importantly, it's still fun. One of the critiques of Guerrilla was that it was repetitive. With Re-Mars-tered only having upgraded graphics and no changes to the way the game plays, the repetitive nature is still a concern. There are dozens of side missions, but they all play mostly the same. Rescue these citizens. Defend this post. Deliver this vehicle. Destroy this structure. But, for the most part, Guerrilla was successful nonetheless because the base gameplay manages to be fun no matter how many times the same mission gets reused. For those who love the destruction-focused nature, there is a lot of content in Re-Mars-tered between the story, side missions and included "Demons of the Badlands" DLC. There is more content on Re-Mars-tered in Guerrilla's multiplayer. However, it's a sad story. The original Guerrilla let players take their destruction skills head-to-head with other players in more than half a dozen different game modes, featuring everything from traditional deathmatch (called Anarchy) to objective-based modes. The multiplayer was hectic fun and pretty popular. Unfortunately, Re-Mars-tered's multiplayer is dead on arrival. I spent more than 20 minutes searching, on multiple evenings, to find a match with no luck, including during peak hours on a Friday and Saturday in North America and widening my search to include every mode. Once, I got into a lobby with a couple other players, but people kept leaving because they got sick of waiting for more players to join, and the game never started. Without the gameplay to carry Re-Mars-tered, this remaster would be nothing special. The graphics have a new coat of paint and are enhanced for the Xbox One X, but touching up a decade-old game can only do so much. There are also some technical problems; for example, the frame rate takes a serious dip in areas with a lot of destruction and explosions. Re-Mars-tered is also prone to long loading screens, particularly in the later missions, and occasionally even gives you a lengthy loading screen for basic inputs like opening the map. Whether or not these same issues existed in the original game, I honestly don't recall, but they are present in the remaster. It's also possible the technical concerns may be lessened on an Xbox One X. This review playthrough was conducted on an original Xbox One console. If anything, what I like the most about this remaster is what Re-Mars-tered represents. It's a way to introduce players to one of the best games of the Red Faction series in a way that's palatable to a new audience. While returning players may cry to simply make Guerrilla backward compatible, new players aren't just going to pick up a nine-year-old game that was made for a last-gen system. This is the first sign of life we've seen of the Red Faction series since 2011's Red Faction: Armageddon. Perhaps THQ Nordic is even building hype or gauging interest for a new installment (yes please). Meet my mech. I call him Charles. Lastly, if you're an achievement hunter, take notice of Re-Mars-tered's grindy achievement list. For the most part, it's the same as the original Guerrilla's list, which was an estimated 100+ hour completion. The list includes a lot of boring collecting, like mining 300 ore, destroying 250 enemy crates and 50 propaganda, and finding 75 power cells in the DLC. Most players' unwillingness to devote time to these mundane tasks led to high ratios in the original Guerrilla. Earning pro times on timed side missions is no small task either. Don't forget there are multiplayer achievements, including for playing 250 games, and you're probably going to have to boost every last one of them thanks to Re-Mars-tered's nonexistent player base. 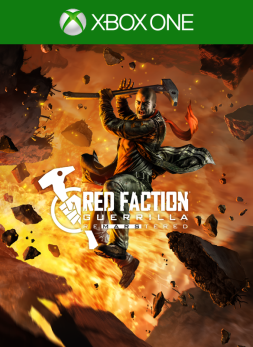 Red Faction Guerrilla Re-Mars-tered won't be winning any awards for Remaster of the Year, but blowing stuff up is still so much fun that it works. The explosive gameplay brings enjoyment to side, story and DLC missions. Re-Mars-tered is a nice way for new or returning players to experience everything Guerrilla offered a decade ago — well, almost. You'll have to count out the multiplayer, the community for which is dead in the remaster. There are some technical hiccups present, like long loading screens and frame rate drops when things get particularly cataclysmic on screen, but the problems don't spoil the fun too much. Also, this didn't factor into the score, but you'll have to get over the fact that this edition is groanworthily called "Re-Mars-tered," which may be a deal breaker for some. The reviewer spent 22 hours assisting the resistance, blowing up EDF, mining ore, and attempting to find a multiplayer match. Mainly blowing up EDF, though. 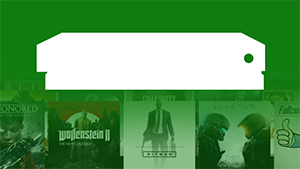 27 achievements were earned for 570 gamerscore. An Xbox One code was provided by the publisher for the purpose of this review.